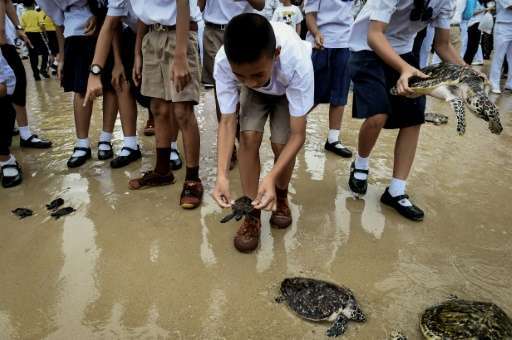 Hundreds of Thai schoolchildren and naval officers sent 1,066 turtles scuttling into the sea on Wednesday in a ceremony aimed at bringing good fortune to the new King Maha Vajiralongkorn, who turns 65 on Friday. 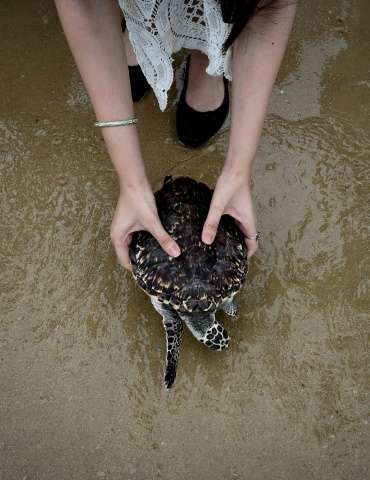 The sea turtles, seen as symbols of longevity, waddled into the waves off Sattahip naval base in Chonburi province. Many Thai Buddhists view freeing captive animals such as turtles or birds as a way to accrue good karma. "Sea turtles are long-living animals. 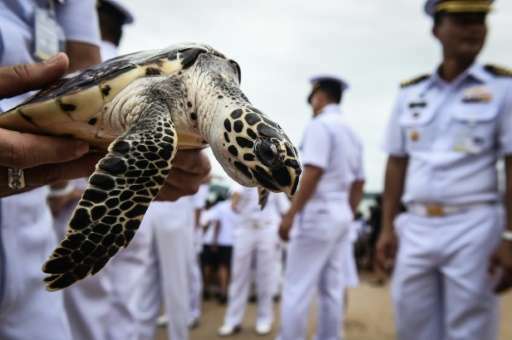 If we release them, it will help His Majesty to have a long life too," said Eagarat Promlumpug, an officer who helps run the navy's turtle conservation programme. The number of freed turtles is seen as auspicious, with the '66'—one more year than the king's age—representing the wish for his longevity. 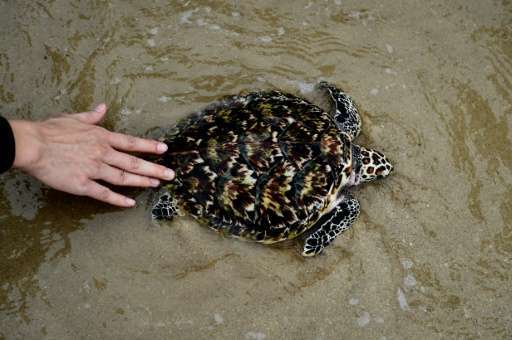 The centre collects thousands of turtle eggs annually and nurtures the reptiles before releasing them into the Gulf of Thailand. Royal birthdays are met with a flurry of fanfare and religious ceremonies in Thailand, where the monarchy is seen a pillar of moral authority. Vajiralongkorn's birthday, July 28, was declared a public holiday by the ruling junta after he took the throne late last year. His father Bhumibol Adulyadej, who passed away in October 2016, was worshipped as a near demi-god during his 70-year reign. Vajiralongkorn has yet to attract that level of devotion. All royal family members are shielded from criticism by a draconian defamation law that has landed offenders decades in jail and forces all media in Thailand to self-censor.